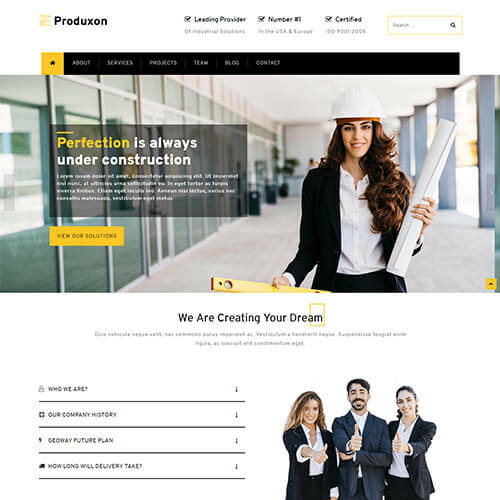 Produxon is a website template which is the best choice for all manufacture related websites and businesses. 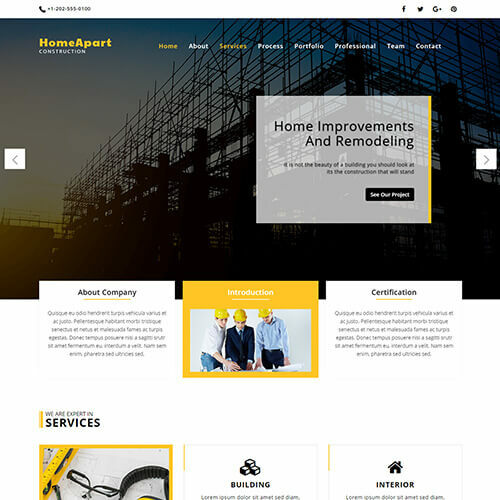 It is a multipage template which includes different pages like agbout, services, projects, professional team, blogs, and contact page. 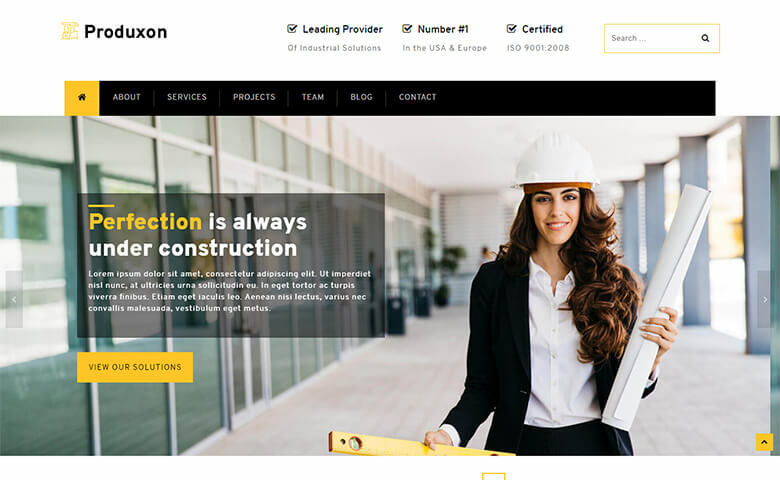 It comes with the features like beautifully designed header with creative logo design, a banner with owl carousel slider, about section with accordions, eye catchy hover effects, services block with icons, projects display with grid shuffle and magnific popup, projects with counter widget, and stick to top menu. 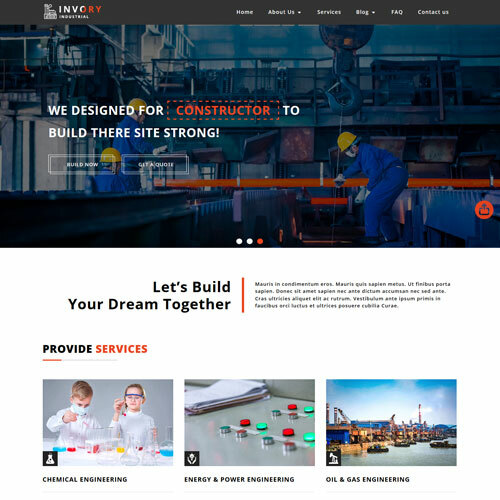 This manufacturing website templates grabs audiences with quick search, displaying the recent news, and quick way to subscribe to the latest news and events. The template is entirely built with HTML5, CSS3, jQuery, and Bootstrap framework.